Recent changes to Ohio laws now require a number of service providers and professionals to report elder abuse. 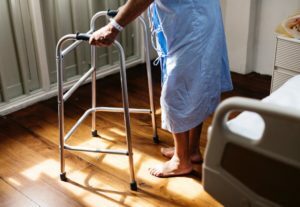 These new Adult Protective Service laws aim to help identify elder abuse, and put a stop to it by requiring more services to report the abuse. Many cases of elder abuse go unreported, either because people do not recognize the signs of abuse or because they are unaware of how to report it. Studies show that only one out of ten elder abuse cases are reported, leaving a large number of elderly individuals subject to abuse that can last for years and often results in poor health or even death. With these changes to the law, more professionals will receive training in identifying elder abuse and in knowing how and when to report it. Which Services Are Mandated Reporters? The law defines elder abuse as any type of neglect or intentional act that causes a person age 60 or over harm. This isn’t limited to physical harm, either—it includes emotional and mental harm as well as financial exploitation, neglect, and sexual abuse. The changes to the law expand the definition to include abandonment as well. While these professionals are now required by law to report elderly abuse, individuals may also make reports. If you believe an elderly person is being abused, contact your county’s Adult Protective Services.